Puerto Rico annually celebrates Constitution Day on July 25. This public holiday honors the day, when the Constitution of Puerto Rico was approved in 1952. Puerto Rico became the colony of Spain in the beginning of the 16th century. Spain ruled the country till 1898, when the USA invaded Puerto Rico and ceded it with the Philippines and Guam. In 1952 the country gained the status of Commonwealth and adopted its first constitution. By the way, Puerto Rico could be an independent country, rather than a commonwealth, but the election of 1948 failed to produce a majority vote for this option. 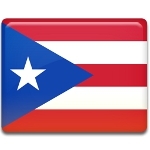 Constitution of Puerto Rico was ratified by electorate referendum on March 3, 1952. On July 25, 1952 the constitution was proclaimed by Governor of Puerto Rico Luis Muñoz Marín and it came into effect. July 25 was designated as Constitution Day on August 4, 1952. This holiday substituted another observance, that was celebrated on July 25, Occupation Day. That holiday commemorated the day, when American troops landed on the territory of Puerto Rico on July 25, 1898.